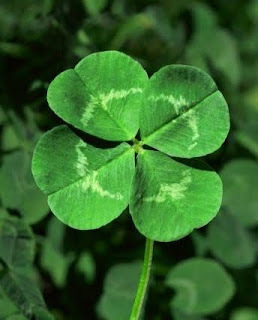 We could all use a little luck now days! So why not make this Luck O' the Irish Corned Beef Dinner for your family? This meal is so easy that even beginning cooks can pull it off very successfully. The corned beef brisket, potatoes, carrots, onion and cabbage wedges all cook in the same pot for ultimate flavor. With this one dish you have your meat and vegetables all-in-one. Add some steamed and seasoned green beans or a lettuce salad, a crusty bread--Irish Soda Bread is a good choice--and you have a tasty, nutritious meal. Place corned beef brisket in a Dutch oven and add enough water to cover. Add onion, garlic, and bay leaves. Cover and bring to a boil. Reduce heat and simmer 3 to 4 hours or until tender. Remove the meat from the Dutch oven and add the potatoes and carrots to the pot. Cover and bring to boiling; cook 5 minutes. Add the cabbage wedges to the potatoes and carrots then cook another 25 minutes or until the vegetables are tender. Meanwhile, place meat, fat side up, in a shallow baking pan. Spread the mustard over the top of the meat; sprinkle with a mixture of the Splenda blend and cloves. Bake in a 350 degree oven for 15 minutes. Serve the meat with the vegetables. Spoon the cooking liquid over the meat and vegetables, if desired. Serves 6 to 8. Enjoy!